Every time we visit Paso Robles, we discover at least one new treasure. This past visit was no exception. 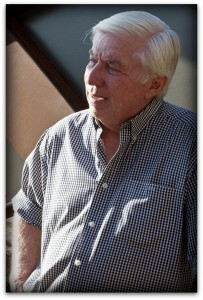 Carmody McKnight was one of the first wineries we stopped at on our first visit to Paso last year. We have developed a nice friendship with winemaker Greg Cropper, and when we read they we doing their Cork ‘n Pork again, that was reason enough for us to hit the road. It was a picture perfect Autumn day with plenty of sunshine and temperatures in the 80s. We arrived at Carmody McKnight, Greg welcomed the attendees and supervised pulling the three sows from their underground pit. The pork was simply delicious, and we had a chance to meet some new friends and visit over lunch and Carmody McKnight Pinot Noir. 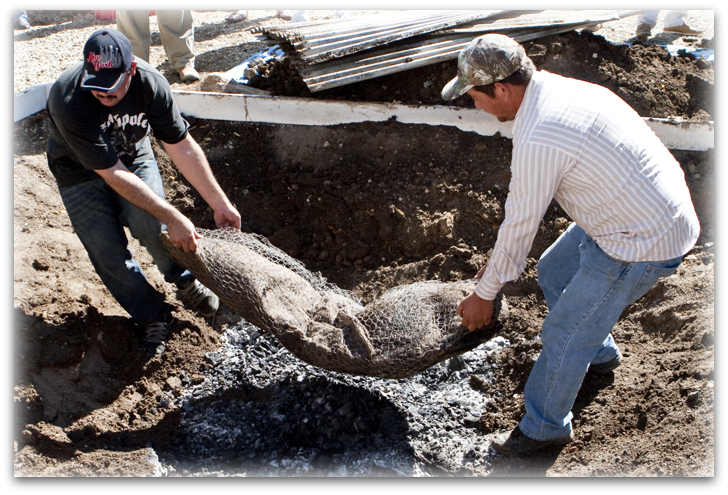 Harvest Festival is a busy time and we were on a tight schedule, so it was time to move on. 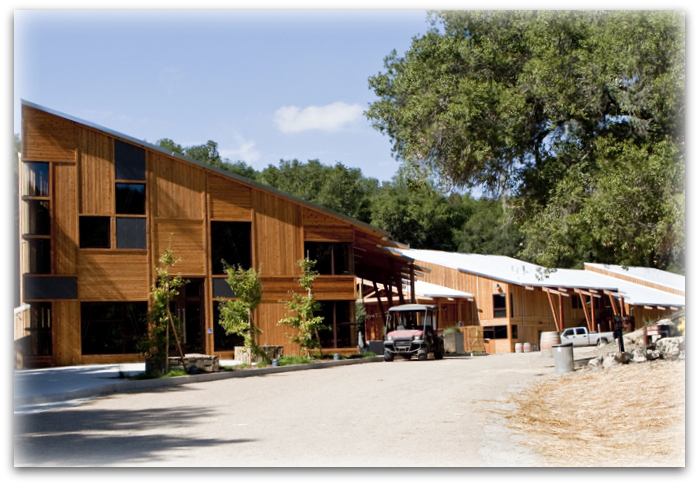 Our next stop was at Dubost Ranch, a small winery we discovered and fell in love with last year. Kate Dubost is more often than not manning the tasting counter. Her son Jacob Raines is one of the “young guns” producing exceptional wines in Paso Robles. 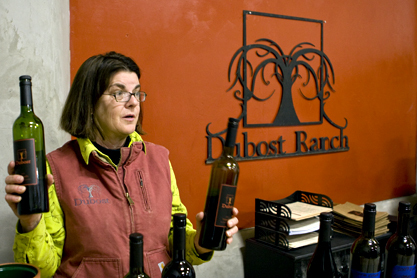 At Dubost, you’ll find wonderful blends like their Homestead Red and unique varietals like Negrette. It’s a stop you don’t want to miss the next time you’re in Paso. We decided to head to Starr Ranch to visit renowned grower and winemaker Judy Starr, but a sign on the way caught our eyes – “Kukkula Winery – Pouring Today”. It wasn’t a name we hadn’t heard before, so we drove through the gates and up a long driveway, soaking up incredible panoramic views as we climbed the driveway. When we got to the top, we were convinced we had missed a turn. Clearly we were in front of someone’s home. There was a basketball hoop and no sign of any winery. 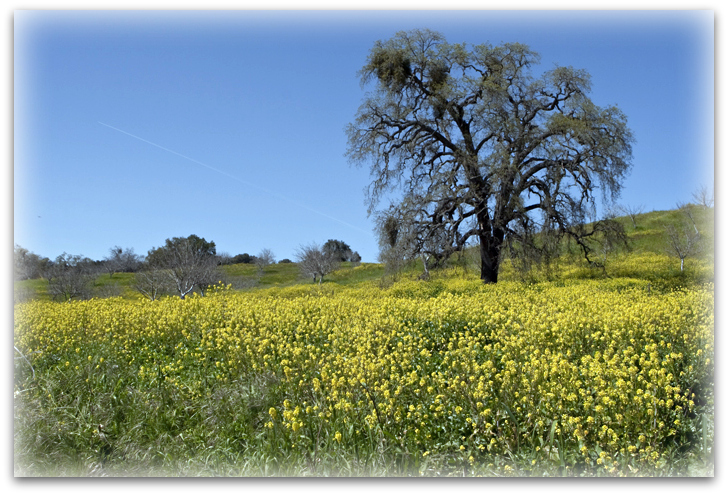 I peeked around and decided we were in the wrong place, so we turned around and headed back on our way to Starr Ranch. Harvest Festival weekend is a busy time, and there was a good sized crowd waiting for us. The drive to the winery is beautiful, especially this time of year with the Autumn colors at their most glorious and Judy’s persimmon trees lining the road. We ran into Phil Stevens who produces one of the most fruit forward Zins I’ve ever tasted under the Del Real label. We had tasted his 2005 vintage previously. This time we had our first taste of the ’07 vintage which promises to be a worthy successor. We met with Judy briefly and made an appointment to see her a few days later so Laura could visit with her for an upcoming feature on her Women on Wine column. 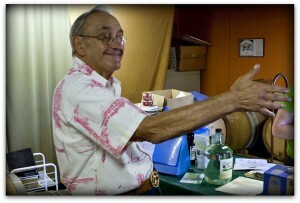 While we were visiting Starr Ranch, we asked if anyone had been to Kukkula. We told our story of how we thought we’d taken a wrong turn, and they said no, that was it. 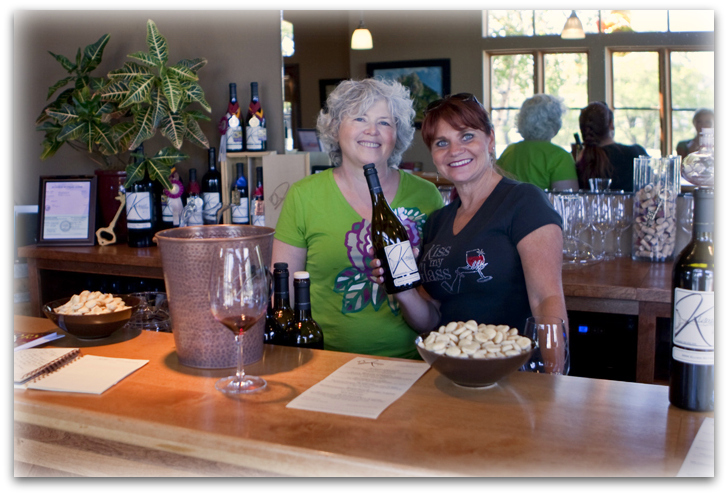 We hopped back in the winemobile, drove back to Kukkula, looked around and walked into their den/tasting room. Kevin and Paula Jussila are delightful people and they’re making excellent wines. 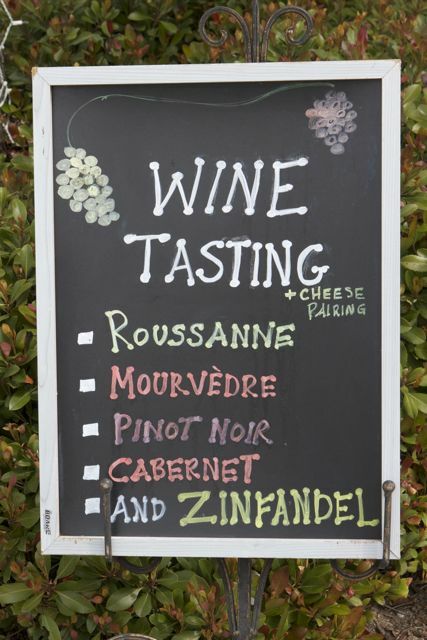 We tasted through their list and enjoyed everything we tried. That’s not always the case. Kevin told us they hope to have their tasting room open sometime next year. You might be fortunate enough to catch them open by chance on a weekend before then. 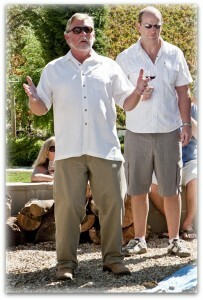 Earlier in the day we met David Hardee of Carina Cellars. 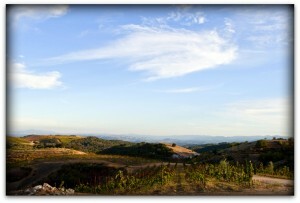 He invited us to stop by the tasting room and then join us at his home for wine, hors d’oeuvres and a spectacular view. After tasting his wines, we drove up to his home. Perched atop a hillside with sweeping valley views, it was simply gorgeous. David urged me to go up to the top of the hill. I’m sure glad I did. After some wine and a bite, we called it a night. 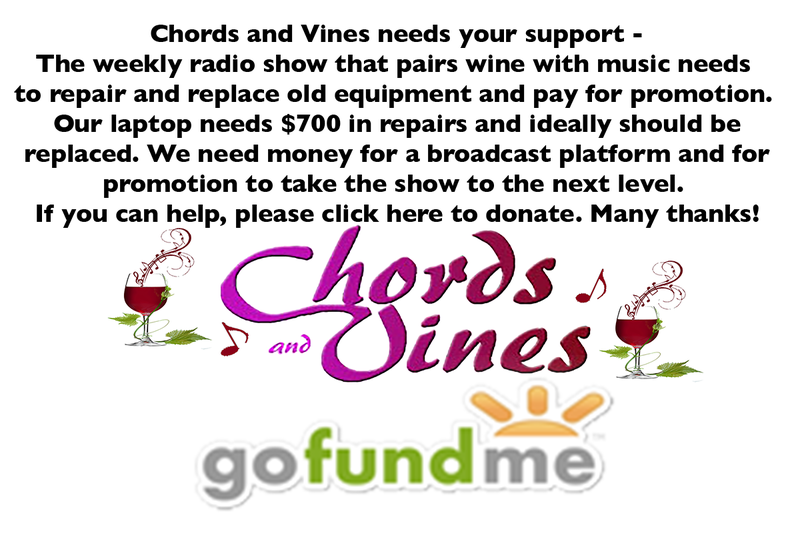 Sunday morning we made arrangements to meet our friend and partner in crime Deanna Morrison of Wine Country Outings. DeDee met us at Hoover’s Beef Palace in Templeton, where I savored their Chile Verde omelette with biscuits and gravy. A hearty breakfast for a full day of wine tasting. DeDee is a Templeton native and we couldn’t have asked for a better guide. Our first stop was at her parents’ home, also headquarters for Howell Mountain Winery, not to be confused with Howell Mountain Vineyards in Napa Valley. Howard and Linda Howell welcomed us and then took us to their cellar where we met Fiona, the guardian of the wine and barrel tasted Howard’s Cabs and Zins. His estate Zin is already incredible at just a few weeks old. We paid a visit to Kiamie Cellars in downtown Paso. Sophia Stevens welcomed us for our second visit to this newcomer to the Paso Robles wine landscape. 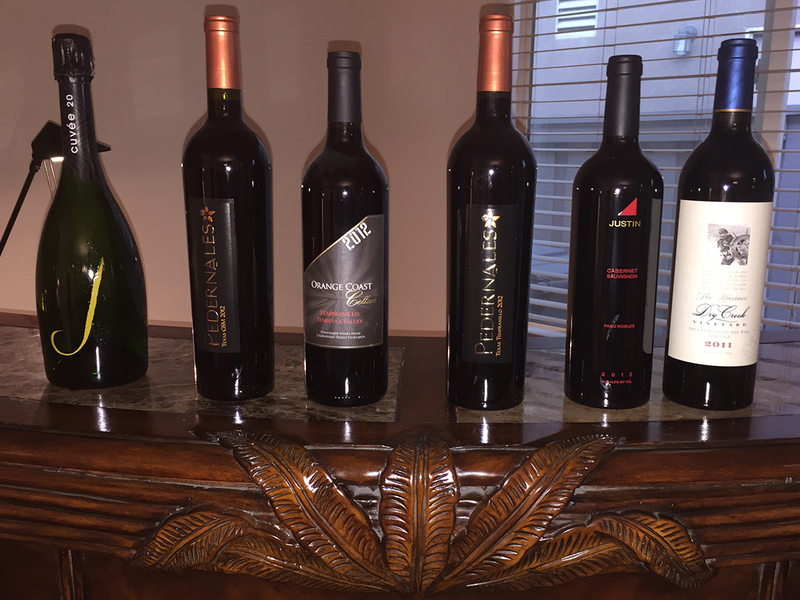 The team of owner Aram Deirmenjian, winemaker Steve Glossner and retail specialist Greg Johnson are doing a masterful job of producing quality wines from the westside hills of the region. The tasting room is charming and their wines are definitely worth a visit. Linne Calado was our next destination. The newly opened tasting room is drop dead gorgeous, the wines very tasty, but in my opinion overpriced, and all in all, the place left me cold. If I don’t get a warm and fuzzy feeling, I’m not likely to pay a return visit. I may check back in the future, but I think the overall experience in visiting a winery is nearly as important as the quality of the product they offer. Lucky for us, they are plenty of places that we do feel at home in. 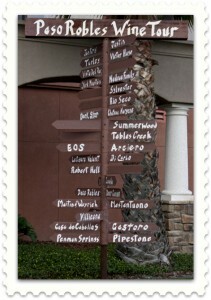 Caliza Cellars is one of them. We met Carl Bowker in June. He is producing some of the finest Syrahs I have tasted in the Paso region. He’s a great host and his wife Pam was serving fresh soft tacos on the patio. His Pink rose and Azimuth blend are also exceptional. We also got to taste the ’07s which are yet to be released. You’re in for a treat. Our next stop was at Hearthstone Winery. Their tasting room just opened in June of this year. 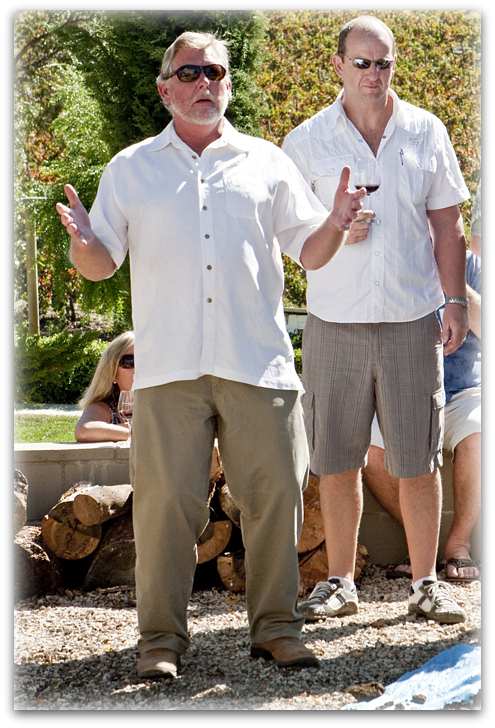 Co-owner Hoy Buell stopped by and gave us the opportunity to taste his Zinfandel. Very, very nice. Winemaker Paul Ayers is a friend of DeDee’s, so after a quick tasting, we hit the road again. 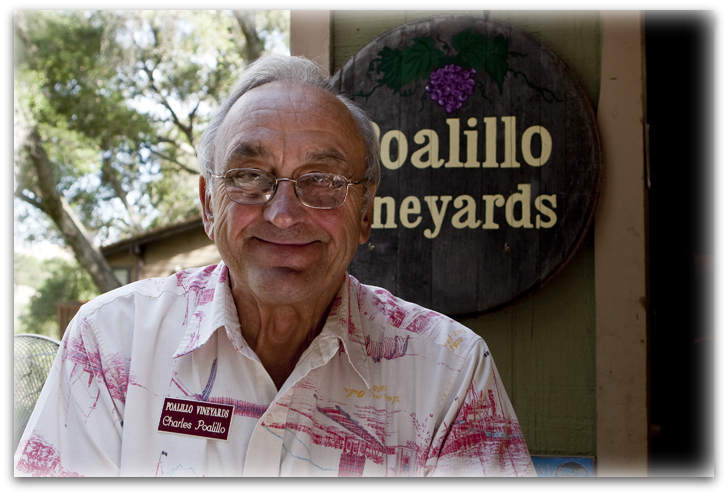 Charlie Poallilo has been a fixture on the Paso Robles wine scene for decades. 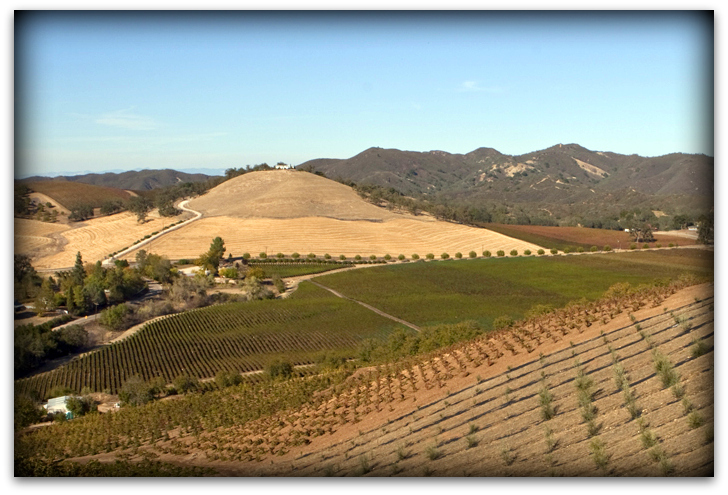 Following a successful career in photography, much of it on the Red Carpet at the Oscars, Charlie and his wife Joyce moved to Paso Robles in the ’70s. Now in their 80s, Charlie and Joyce are both as sharp as tacks. His wines, particularly his Cabs and Zins, are exceptional. 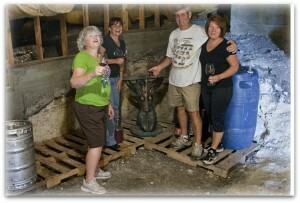 Paul, Laura, DeDee and I said our goodbyes and stopped by Denner Vineyards, where Paul makes his Hearthstone wines. The production facility at Denner is immense. Paul let us sample from several barrels and I’m here to tell you there are some magnificent wines down the road. We met Amy Butler, winemaker for Edward Sellers, who was appropriately purple. 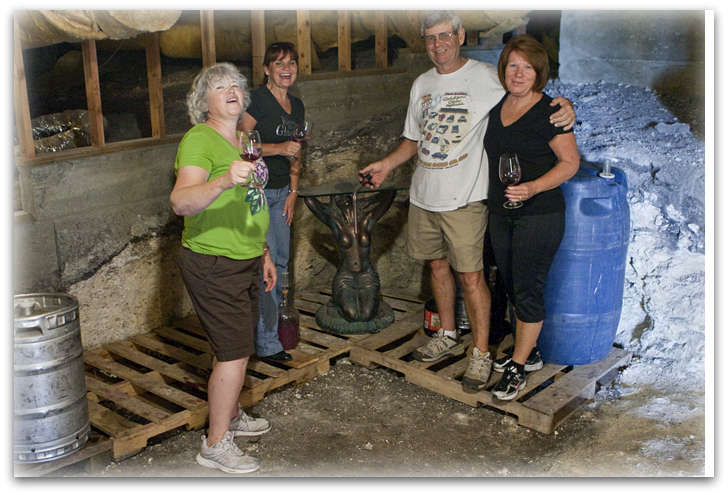 We decided to wind down with a taste at Club Comus, the Denner wine club’s private facility for its members. Denner opened the doors to their current facility in 2005 and it is truly stunning. They also produce some magnificent wines. This really turned into one of our favorite visits to one of our favorite spots. The next morning we visited with Judy Starr. 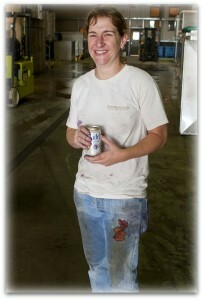 Laura is working on a story for her Women on Wine column and it will be available soon. We met Neil Roberts of Clavo Cellars for lunch at Ian McPhees’ Grill in Templeton. Clavo is Spanish for nail, and years ago, some of the Mexican-Americans he worked with gave him the nickname as a sort of play on words on his first name. 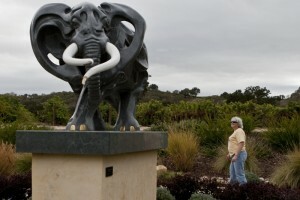 Now his winery bears the name. Neil’s a busy guy. Neil’s been involved in every aspect of the wine business for more than 20 years. 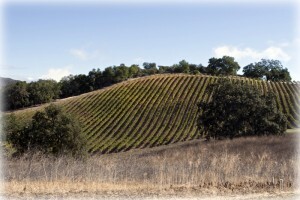 He settled on his Templeton location because of its proximity to Paso Robles. For now, his is the only tasting room in town, but he hopes to eventually get some company. 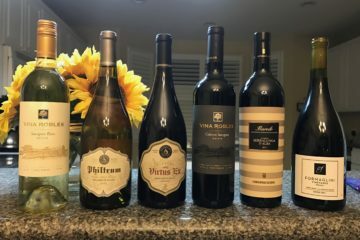 He believes, correctly, that you can’t make good wine without good fruit, and devotes a lot of care into growing the best grapes he possibly can. 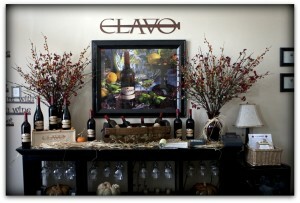 His tasting room, elegantly decorated by his girlfriend Julie, is warm and inviting. Julie prepared a selection of cheeses, chocolates and desserts to pair with our wines and her touch was perfect. His Reckless Moment Syrah is named after one of his grandfather’s race horses. As a kid, he made silks for the riders. 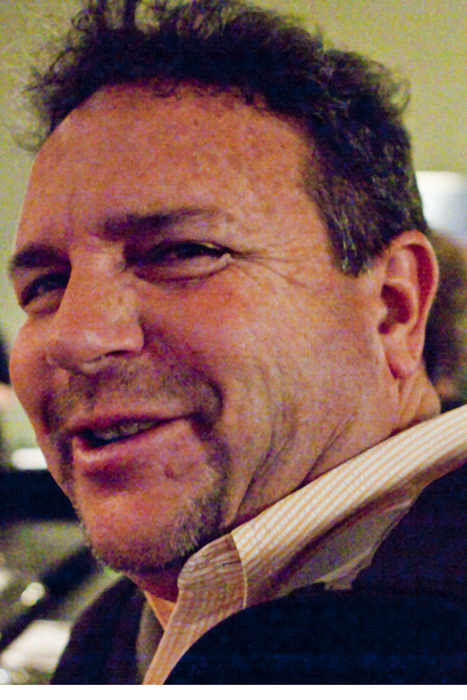 He says deciding to enter the wine industry was a reckless moment in his life. 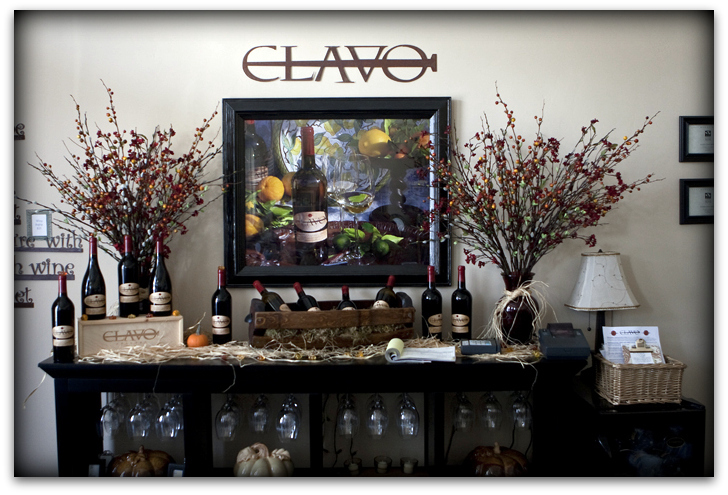 Don’t visit the Paso Robles area without a visit to Clavo. It’s a great find. Our final stop was at Sculpterra. 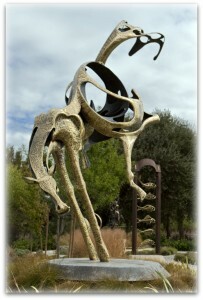 The first thing that hits you when you pay a visit to Sculpterra is the dramatic artwork that greets you as you enter. Towering sculptures by John Jagger of horses, elephants, pumas and more are breathtaking. Inside, winemaker Paul Frankel was behind the tasting bar. Paul is another of the area’s young winemakers and he is honing his craft well. We enjoyed every wine we tasted, especially his blends. 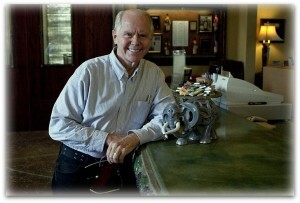 Our timing was perfect as artist John Jagger stopped by to drop off a mock up miniature of his elephant sculpture. 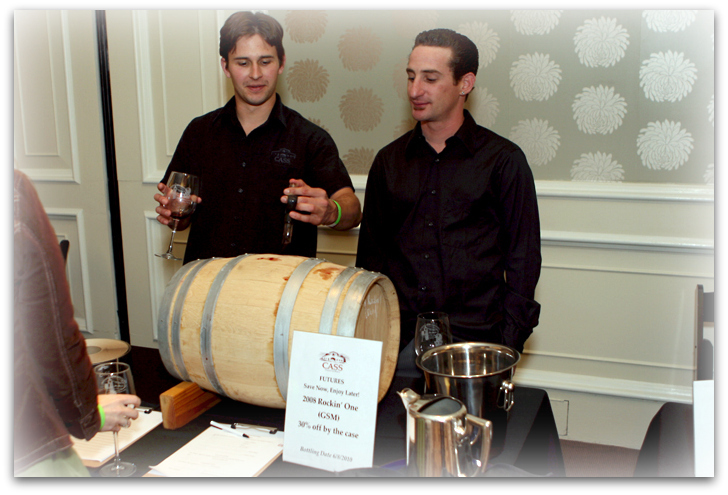 We’ve already planned a return visit to Paso for March’s Zinfandel Festival. I wouldn’t be surprised if we manage to sneak in another visit before then. 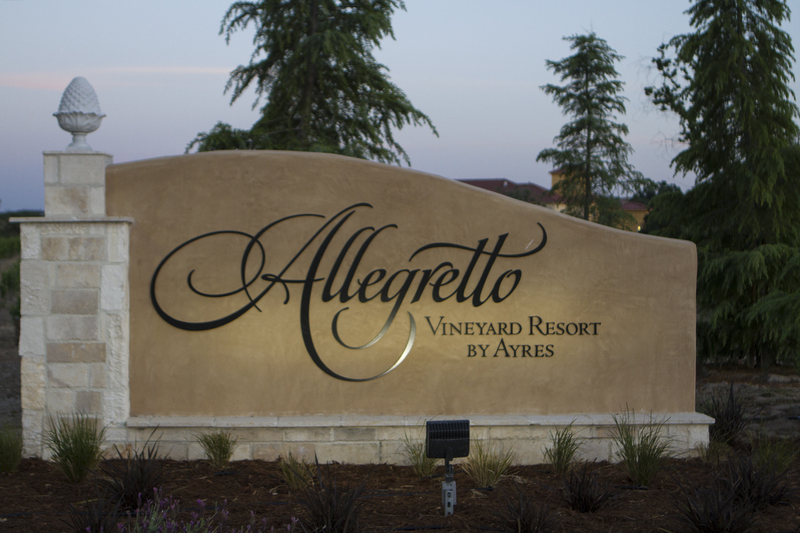 Next ArticleHarvest Celebration In Temecula Valley!